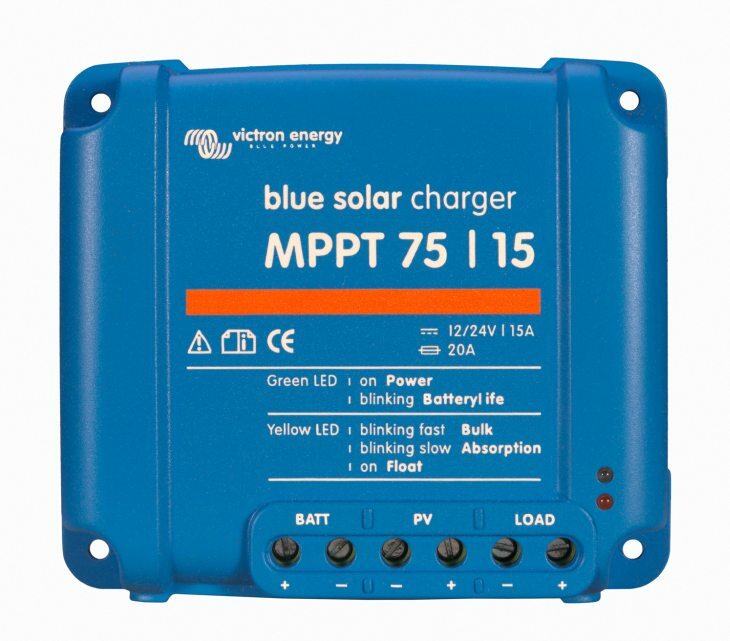 MPPT VE.Direct firmware v1.16 is now available for BlueSolar MPPTs 75-10, 70-15, 75-15, 100-15, 100-30, 75-50, 100-50 and 150-35.
v1.16. changes include streetlight control improvements, 30-day history logging and more. Please note that read out improvements are planned for a pending CCGX firmware release. Added 30 day historical data logging: the parameters below are stored for every day, for up to 30 days previously. A read-out is already possible with mpptdump.exe; see BitTorrent Sync. In mid June we plan to release the CCGX firmware version that supports the 30-day history readout. Added automatic equalization mode. Automatic equalization mode can be configured to perform equalization once every few days. Use mpptprefs.exe for configuration. The premature end of absorption (charge current below 1A for the 15A models and 2A for the larger models) additionally checks that the MPPT tracker is not active (so the current drop is not caused by lack of irradiance, but by a full battery). Panel voltage levels for night/day detection are adjustable, so the system can be tuned to match the panel configuration. Gradual dimming can be used to mask the effect that individual units may switch on/off at different moments in time (due to different panel mountings/shading). Gradual dimming feature defaults to off. Special hardware, the VE.Direct to USB interface (part number ASS030530000), is required. Look on the Color Control GX.